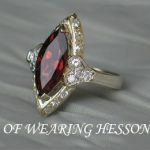 The Hessonite and the Cat’s Eye are two gemstones that are regarded with high value in Vedic Astrology. Associated with Rahu and Ketu respectively, they are often prescribed by astrologers for enhancing the effects of a positive Rahu and Ketu or minimizing their detrimental aspects. However, there is always a debate among astrologers on whether the garnet gemstone and the Cat’s Eye should be prescribed together to a person or not. It is to be remembered that when Rahu is strong is a birth chart, Ketu is also strong. On the other hand, when Rahu is weak, Ketu is also weak. Let’s have a closer look at the functioning of these two gemstones and put the debate at rest. Most eminent astrologers agree to the fact that the astrological gemstones tend to function in the same way as their ruling planets. Therefore, it can be said that the gemstones simply enhance the energies of the planets that they are associated with. So if you have a beneficially placed Rahu, you can recap positive results from wearing gomed Ratna. On the other hand, if your Rahu is malefic, then wearing gomed can only enhance its negative results. By wearing the Cat’s Eye or garnet precious stone, you can only strengthen the energies of Ketu and Rahu. These planets can bring back much unresolved and hidden karma from your past life so that you can face the challenges that they pose. Through the power of Ketu, you can work with the deepest recesses of your inner self and come face to face with your shadow. This will not only help you to develop a better understanding of your true self but also achieve a certain sense of detachment from the overtly materialistic world of day to day life. Ketu can also help you to have heightened spiritual powers and an increased sense of intuition, which can allow you to learn everything about matters that are normally hidden from people in daily life. The power of Rahu can help you to achieve great material success but may pose a challenge to you if you tend to become too much attached to a superficial and materialistic way of life. Keeping such things in mind, you may consider that wearing a gemstone associated with Rahu or Ketu is of no great use since they only bring up certain challenges which you may not want to deal with. Most people tend to spend a lot of money on a gemstone as they believe that it can make their lives relatively simple and easy. Basically, no matter where Rahu and Ketu are placed in the chart, they indicate some karmic lessons that a person needs to master. The energies of Rahu and Ketu become particularly intense during the time of their and antardasa or transit. Gomed stone is frequently worn as a protective tool from the ill impacts of Rahu, especially during the Rahu Dasha. However, if this stone is rather pure and powerful, it can only aggravate the energy of Rahu instead of repressing it. This can eventually lead to a major flare-up of compulsive and addictive tendencies, extreme emotional responses leading to numerous low-level addictions and attachments and a tendency to act in ways that do not lead to the greater good of self and other people. Hence it is important to maintain great awareness of the self while wearing the gomed stone so that it can lead to increased power, recognition and wealth. 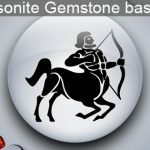 Currently, there are many dealers of garnet loose stones that can offer powerful and pure variants of the game to buyers. The Cat’s Eye stone is normally worn to improve the effects of Ketu. It can also be worn during the Ketu Dasha and antardasa. Just like other gemstones, the Cat’s Eye can greatly enhance the natural energy and vibration of Ketu. This can lead to intense and excessive detachment from all worldly matters, cause different types of mysterious illness as well as lead to enlightenment while at the same time make the wearer undergo some form of deep loss. So if you think that you are spiritually motivated and not essentially concerned with following cultural norms or achieving social integration, the Cat’s Eye stone can help you to attain enlightenment or Moksha. The stone can enhance the speed of inner spiritual development and help you to remove worldly attachments which can only serve as a hindrance for you.